Just like how a good song sticks in your head, CORD is hitting all the right notes for network operators looking to re-architect their central offices into data centers. Like most people, there are certain songs that just seem to get stuck in my head. Sometimes it could be a classic like “Yesterday” from the Beatles, other times it could be a song from when I was young like the Beastie Boys’ “No Sleep Till Brooklyn,” or lately it seems to be one of the newer pop songs like “Blank Space” from Taylor Swift (I have two tween daughters). Having thought about it, I realized all of these songs have three things in common: thought-provoking lyrics, a perspective that’s relatable, and a catchy tune. It seems that this combination of things just works well together, at least for me, and makes that particular song resonate (another musical term). Switching gears a little—or maybe a lot—I’ve been working on a newer networking use case that’s generating significant interest across the industry: CORD (Central Office Re-architected as a Datacenter). It occurred to me that CORD is gaining momentum with network operators for the same reasons certain songs get stuck in people’s heads. I’ll explain more reasons below, but first it makes sense to define CORD. CORD is one of the first use cases for the Open Network Operating System (ONOS), an open-source SDN controller for service providers and other mission-critical networks. 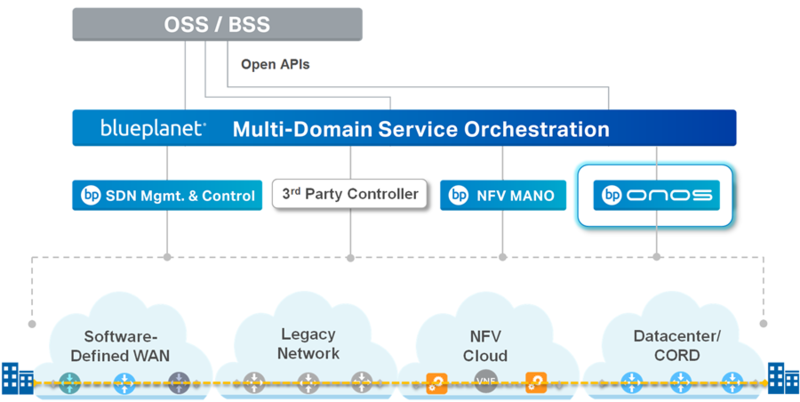 ONOS was developed by ON.Lab in collaboration with a global community of partners that includes tier-1 network operators and industry-leading vendors (Ciena’s Blue Planet division, among others). The ONOS CORD use case was first unveiled at the 2015 ONS Summit by AT&T, ON.Lab, and others. The objective of CORD is to replace the proprietary infrastructure of the traditional central office with open software and commoditized hardware building blocks—think SDN, NFV, and Cloud software running on commodity servers and white-box switches—to deliver datacenter economies of scale and cloud-like agility to service provider networks. It’s Thought-Provoking: Technologies could be considered the “lyrics” of a networking use case, and CORD involves a compelling combination of the most advanced technologies available today, including SDN, NFV, and Cloud open-source software, white box switches, and datacenter servers. It’s Relatable: The central office, having remained largely unchanged for the last thirty years, is certainly something that’s well understood by all network operators, as are the services that CORD is addressing: Residential (R-CORD), Enterprise (E-CORD), and Mobile (M-CORD). It’s Catchy: While there’s no tune associated with CORD, the concept certainly has an undeniable appeal. Applying state-of-the-art technologies to make the central office network infrastructure more responsive and cost-effective tackles a fundamental, real-world challenge that network operators need to solve. Ciena’s Blue Planet division is right in the middle of this momentum with our recently announced Blue Planet ONOS solution (BP ONOS). BP ONOS is a commercially hardened distribution of ONOS backed by Ciena’s world-class software development, service, and support. Here at ONS 2016, we’re showing the first-ever live demo of BP ONOS for CORD in our booth (#512). As expected, it’s receiving a lot of attention and interest from network operators. If you’re here at ONS, I invite you to drop by for a live demo, or check out our Blue Planet ONOS product page for more info.